Thanks to Bonnie Cavanaugh-Gittemier and Friends! Thank you for hosting a Be the Match Donor Drive and Fundraiser! 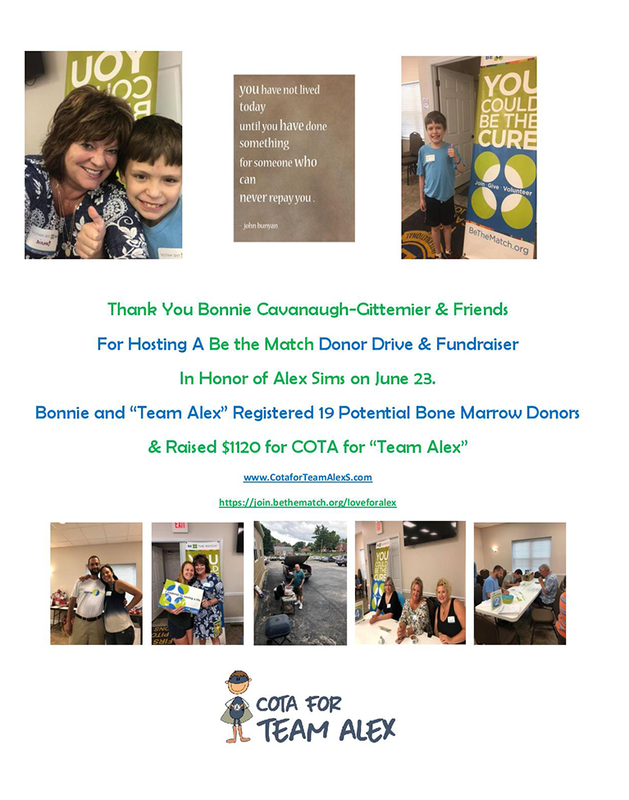 It raised $1,120 for COTA for Team Alex!